We made it to the news!!! ALSO LAST DAY FOR VIP TICKETS! We made it in the EAST BAY EXPRESS!!! Photo courtesy of Ido Bartana. GET YOUR TICKETS BEFORE WE SELL OUT ON EVENTBRITE!! 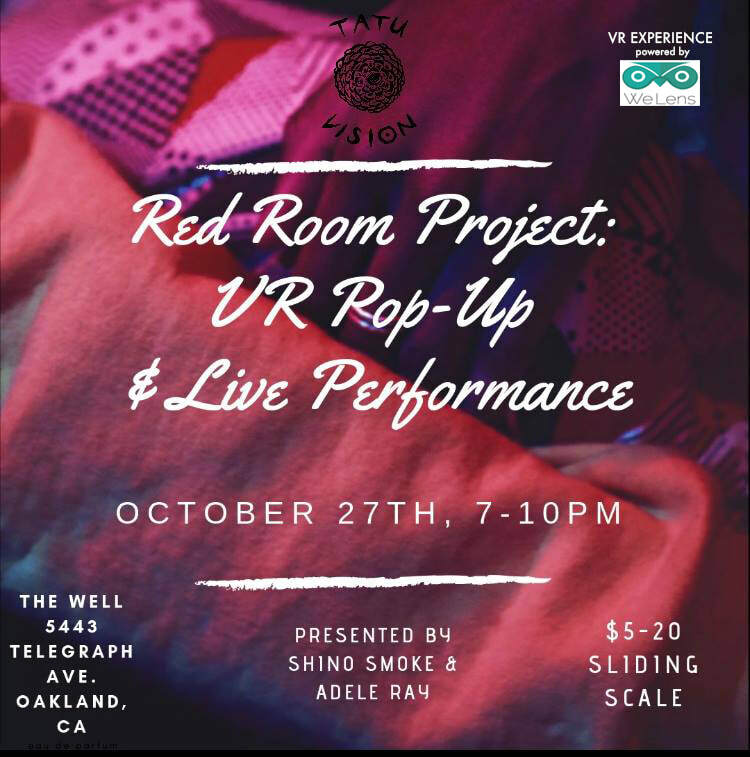 In efforts to keep building this Red Room Project community we want to invite you to our next event at The Alice Collective in downtown Oakland, with full bar, California cuisine, and tranquil garden. We are filling the space with artists, musicians, filmmakers, and technologists as well as familiar faces from the neighborhood. 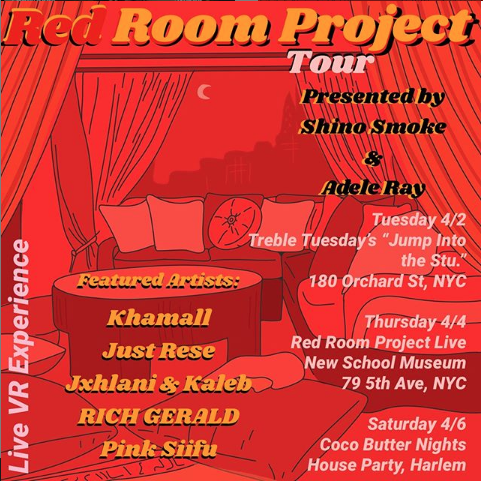 For those who have attended our last event or who have seen The Red Room Project VR piece already, we are providing more space to explore an extended multimedia experience with bonus scenes and new ways to enjoy the Red Room including Red Room inspired drinks and eats, mood lighting, and additional guests artists performances by Stoney Creation, Eighty9s, and Ovrkast. This event will also feature a VIP dining experience (limited tickets available) for guests who wish to get an early preview an hour before doors open of the virtual reality experience, enjoy a three course meal (Cali Cuisine), and complimentary Red Room inspired beverages created by The Alice Collective. LIMITED TICKETS - CLICK HERE TO RESERVE YOUR SPOT! 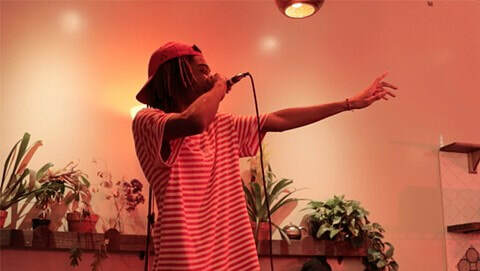 RED ROOM PROJECT WILL BE AT OAKLAND MUSEUM OF CALIFORNIA ON FRIDAY AUGUST 10TH IN THE DOJO OF THE HIP HOP EXHIBIT FROM 3-5PM! 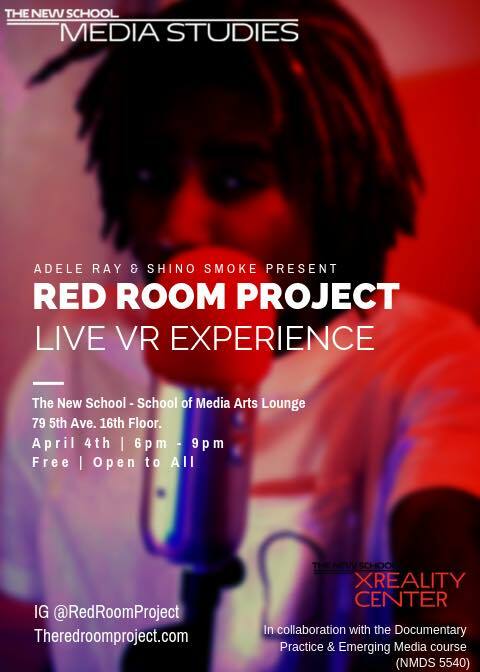 SHINO SMOKE AND DIRECTOR, ADELE RAY WILL BE THERE IN PERSON FOR Q&A AFTER ATTENDEES WATCH THE RED ROOM PROJECT IN VR!